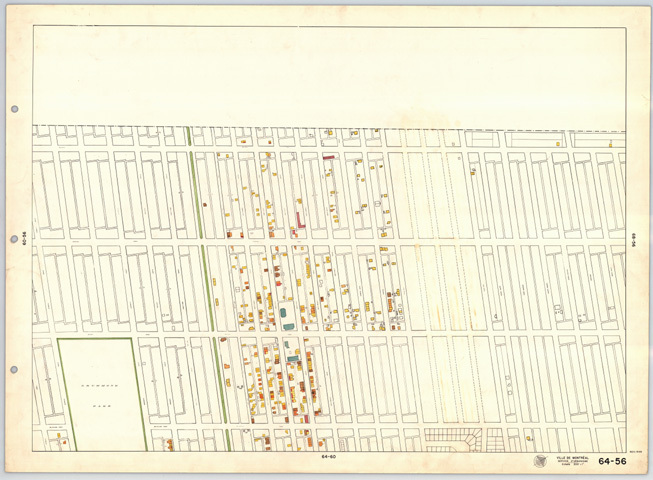 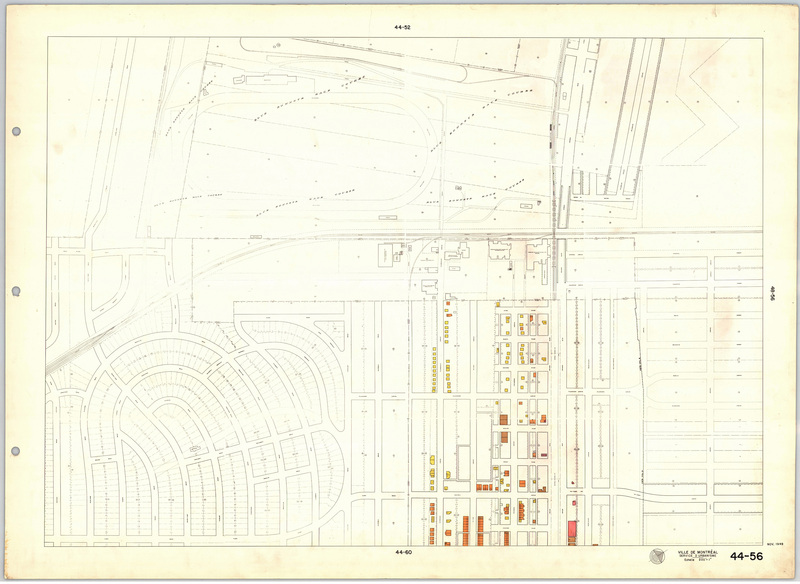 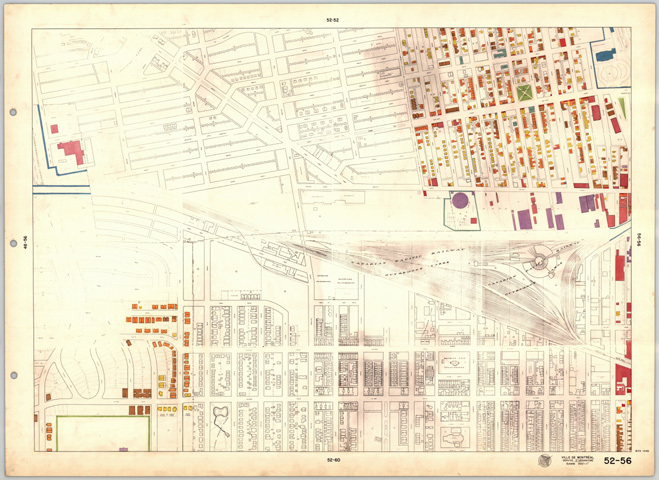 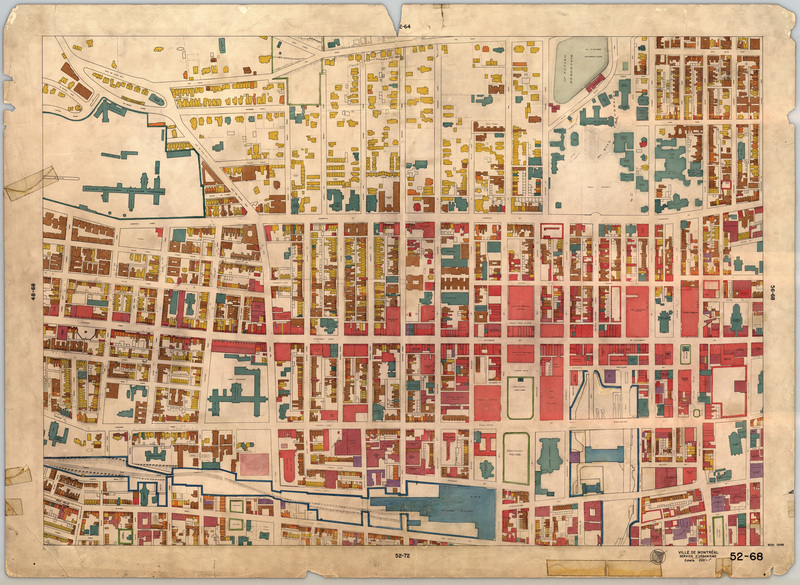 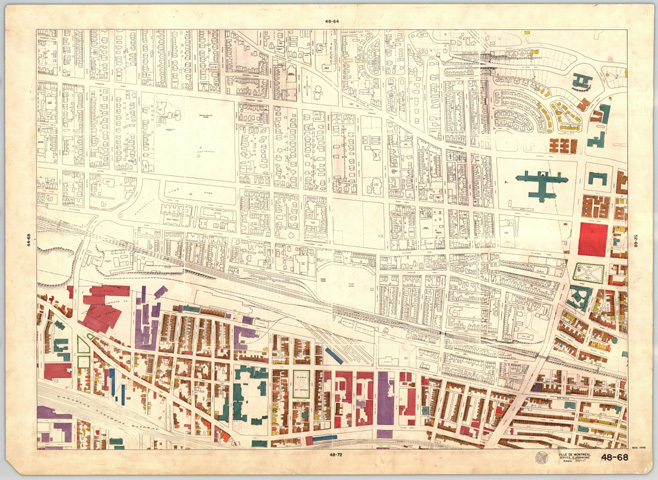 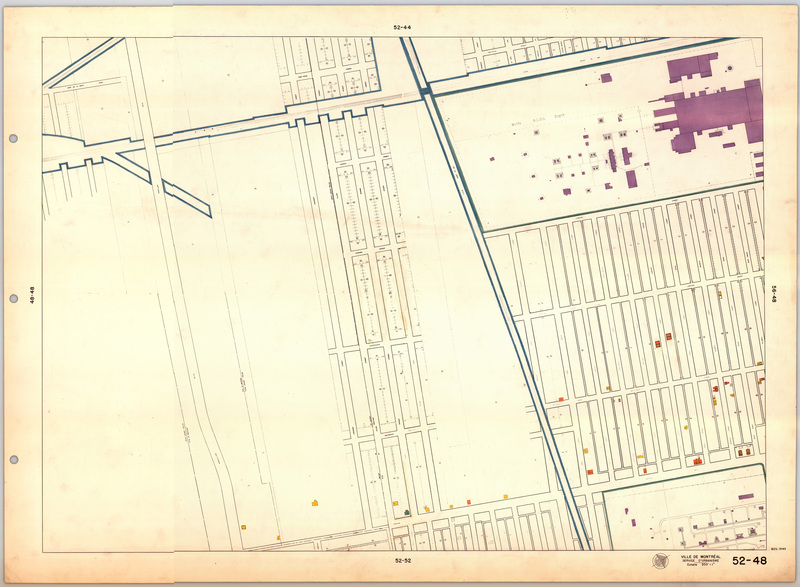 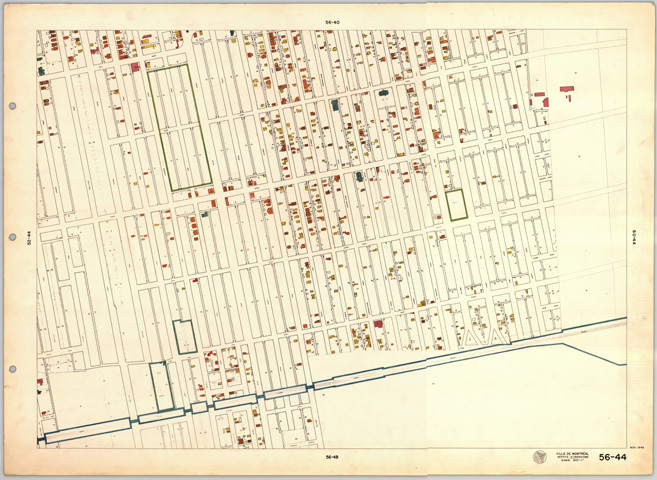 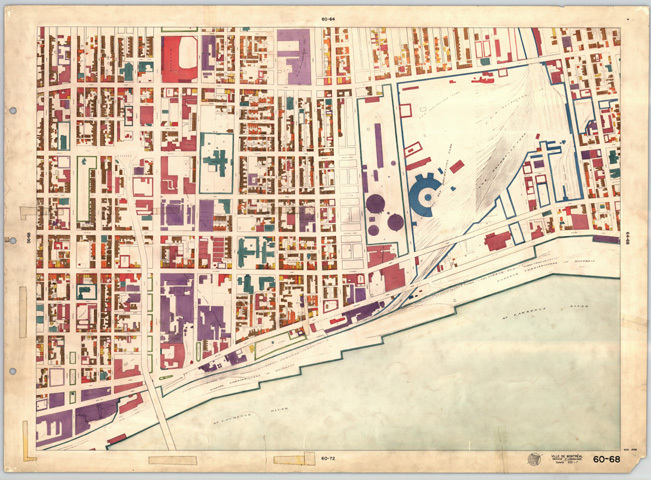 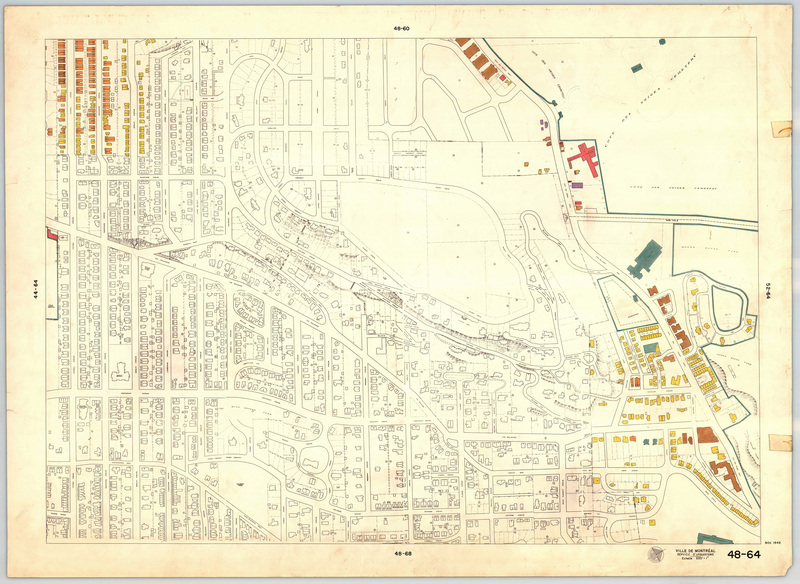 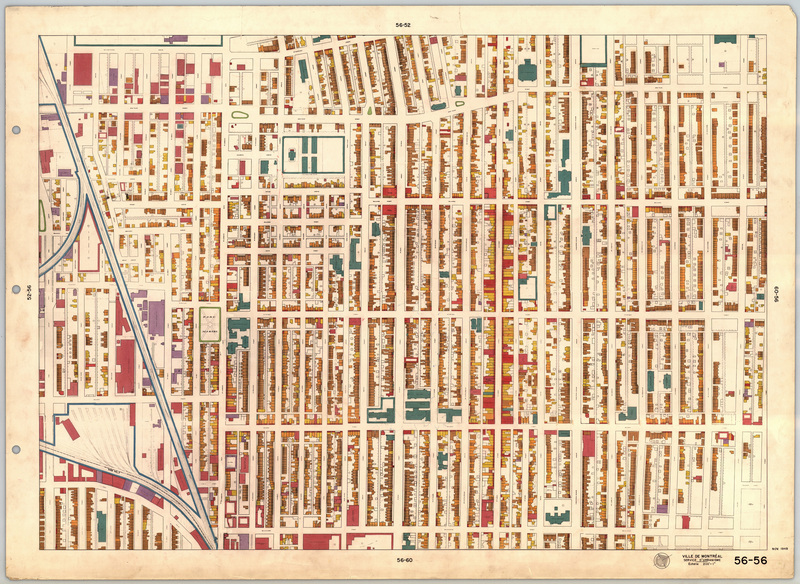 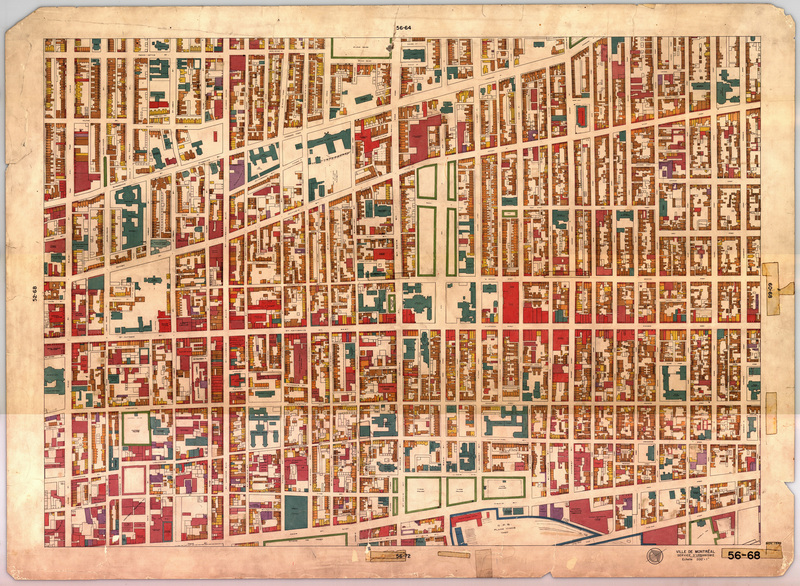 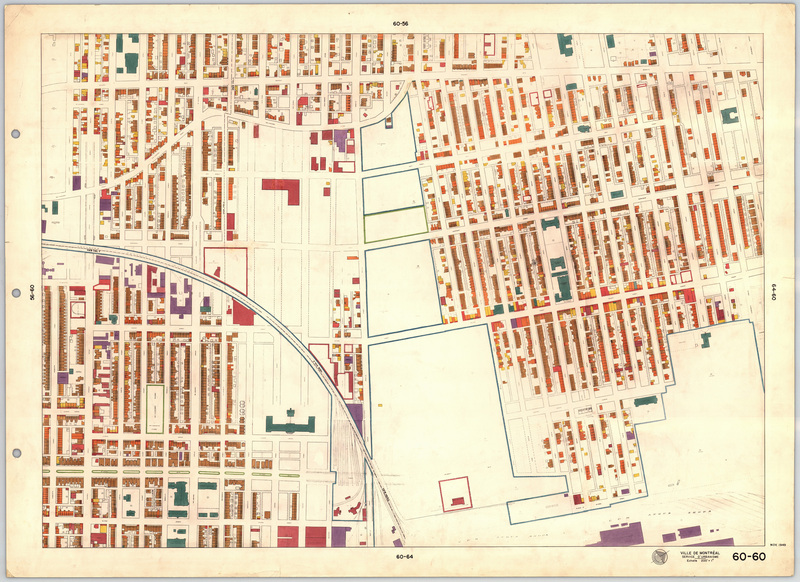 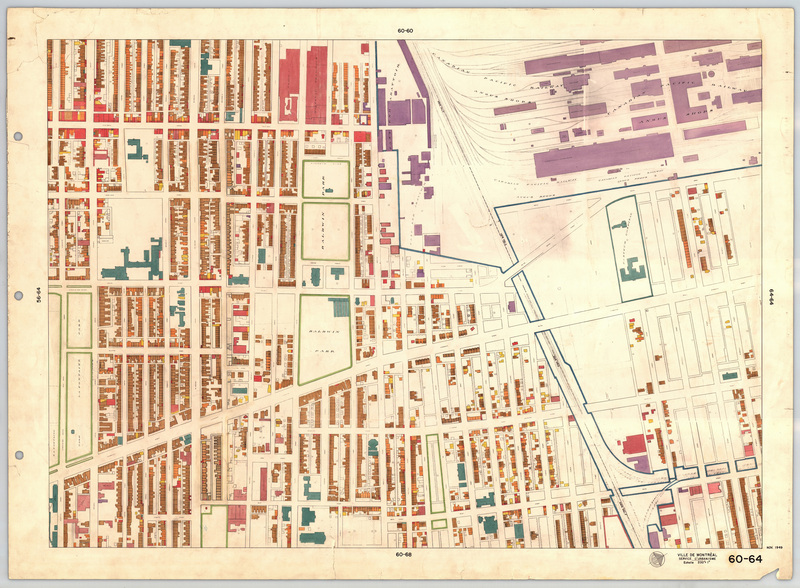 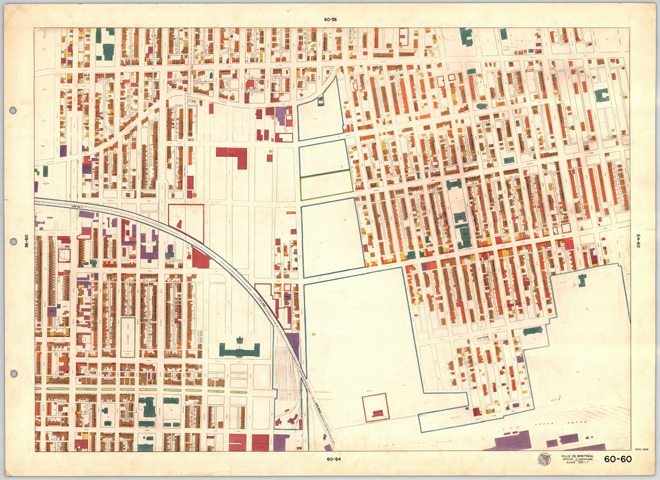 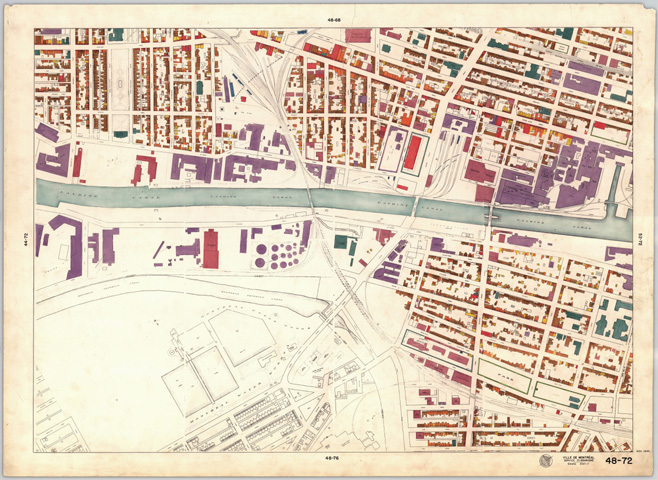 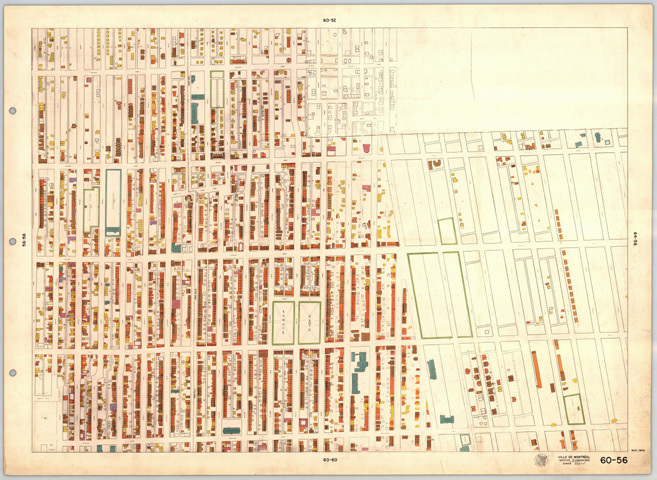 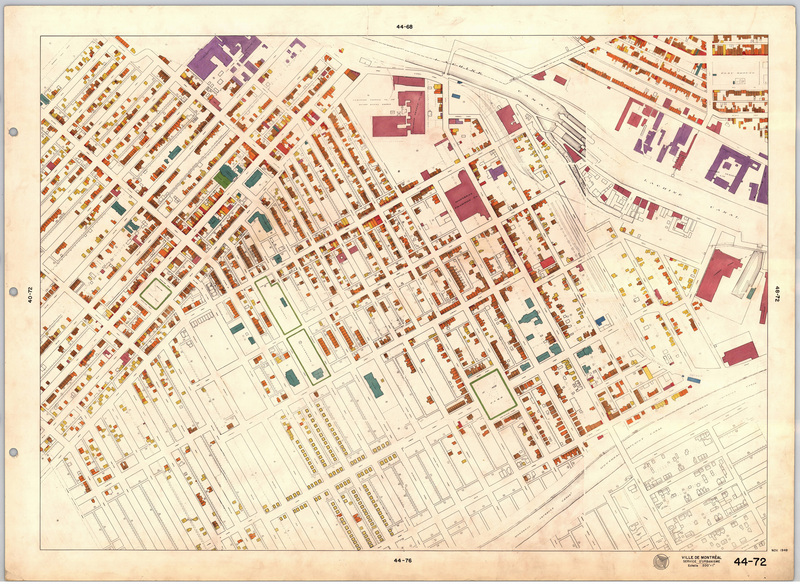 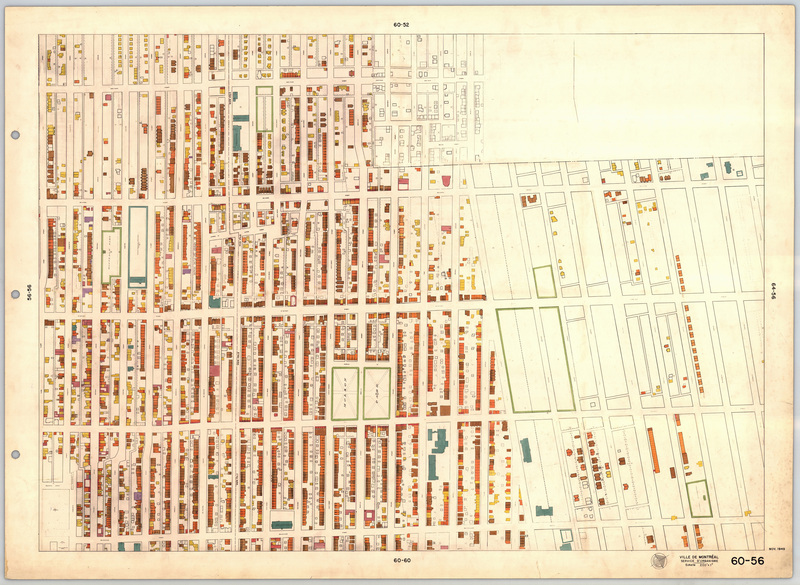 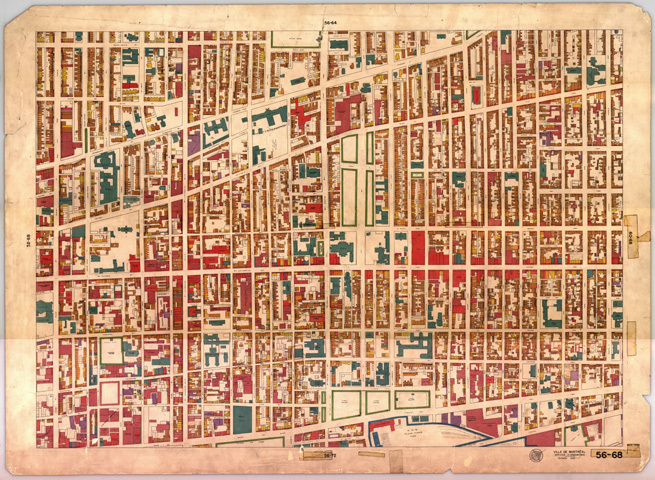 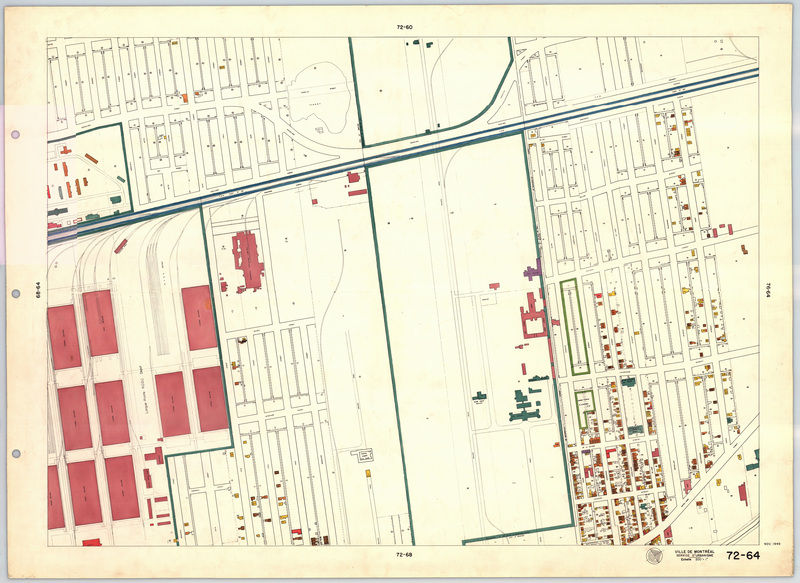 The Montreal Land Use Map (1949) is a colour map series, 70 plates in total, that represents the land use of Montreal in 1949. 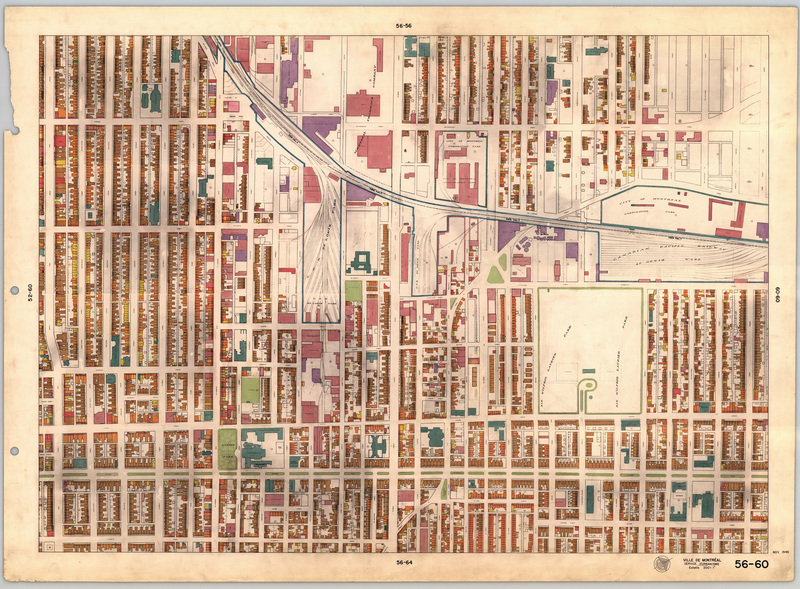 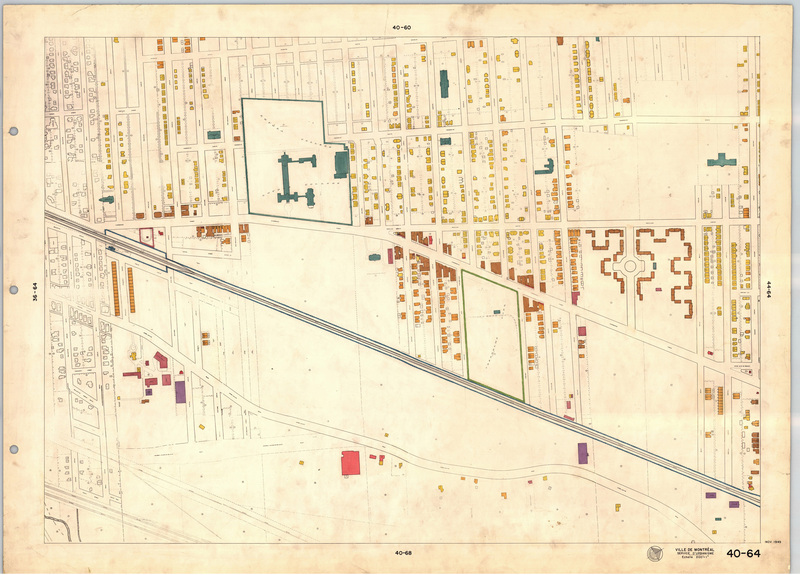 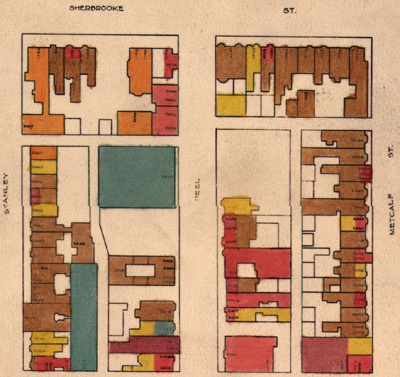 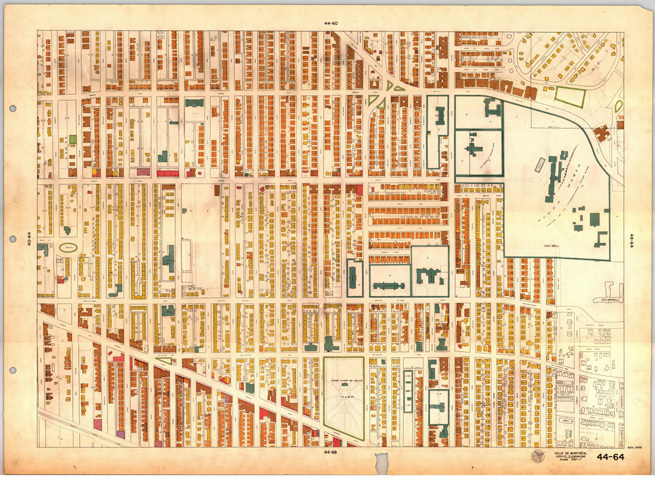 This set of maps were produced by the City of Montreal, City Planning Department in 1949. 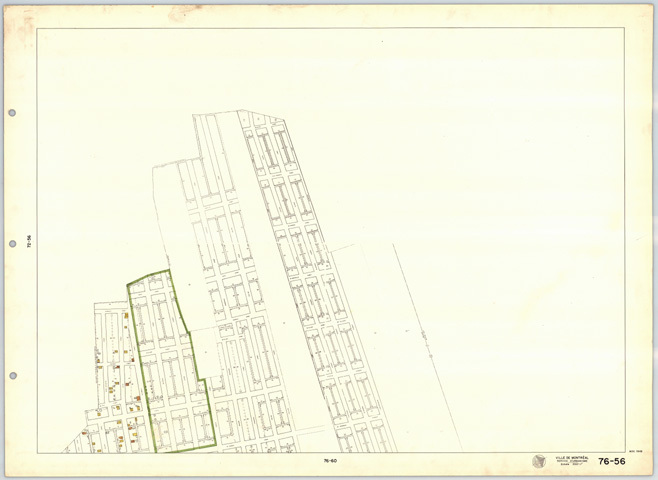 The land use categories are: residential, commercial, light industry, heavy industry, railway lands, parks and playgrounds, and public buildings. 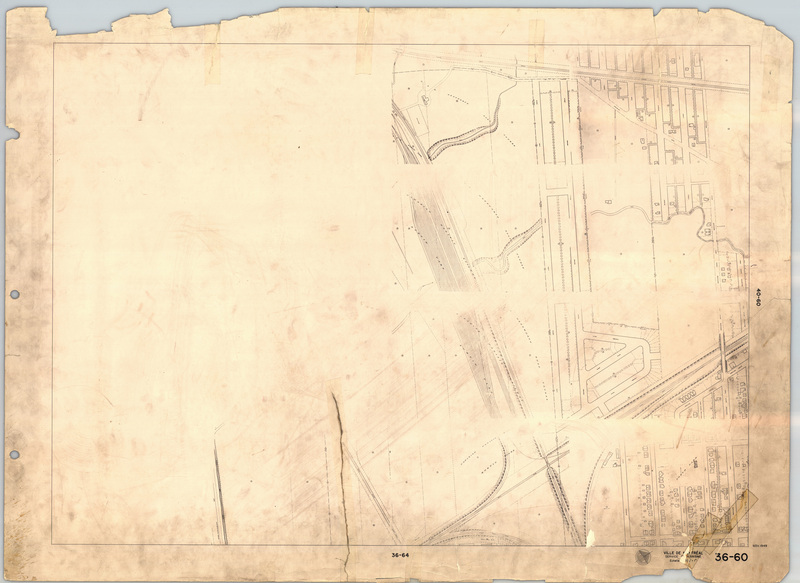 The originals are housed at the City of Montreal Archives, and were scanned in 2000. 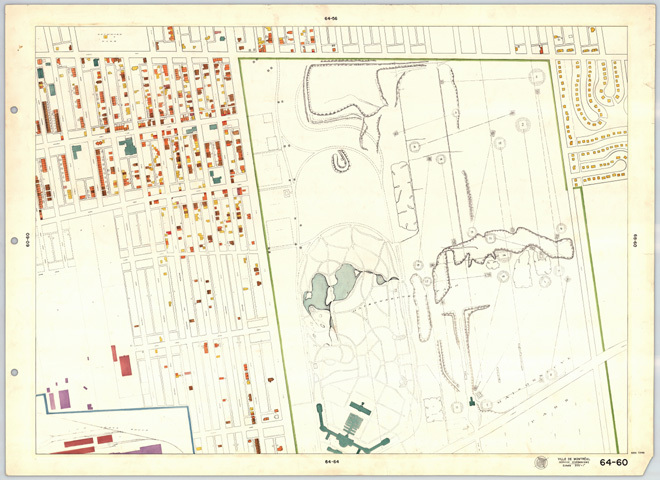 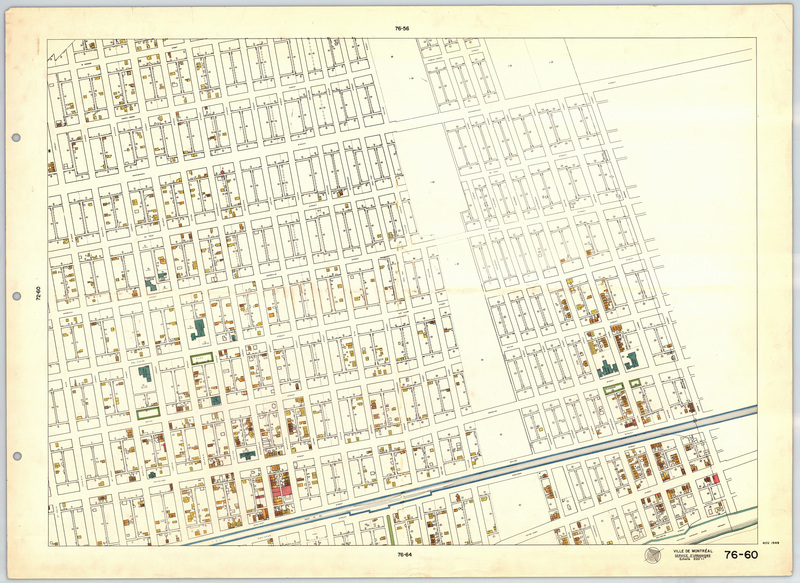 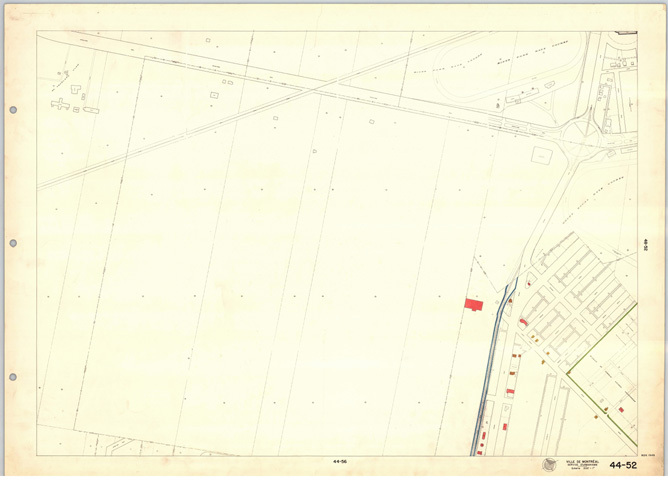 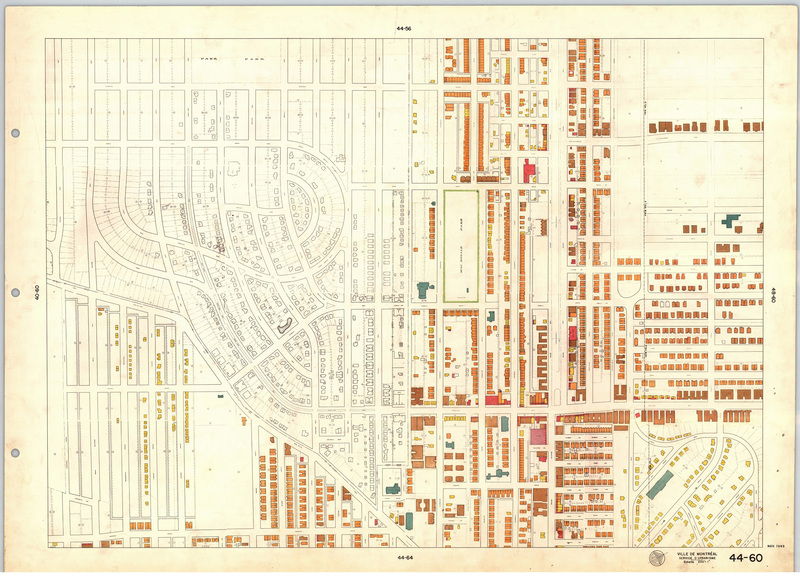 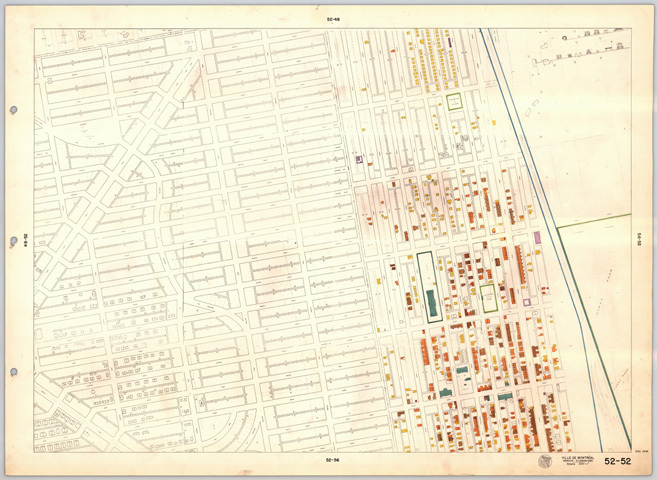 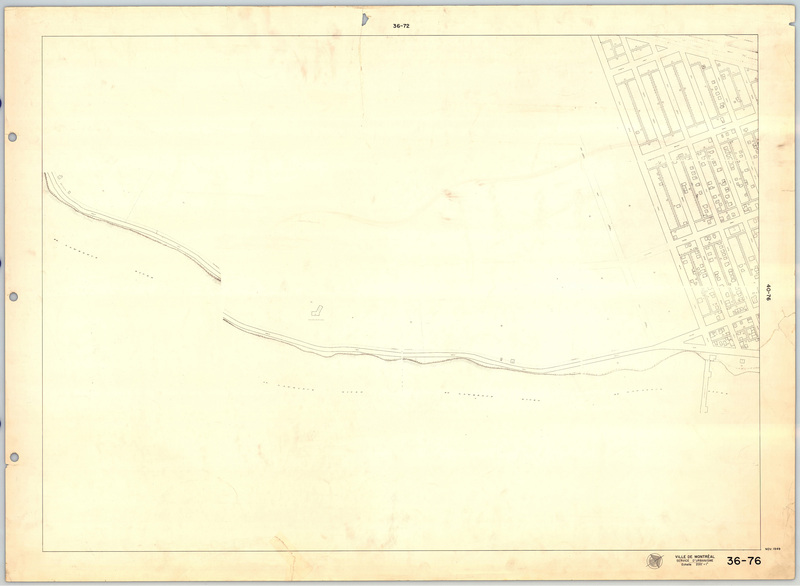 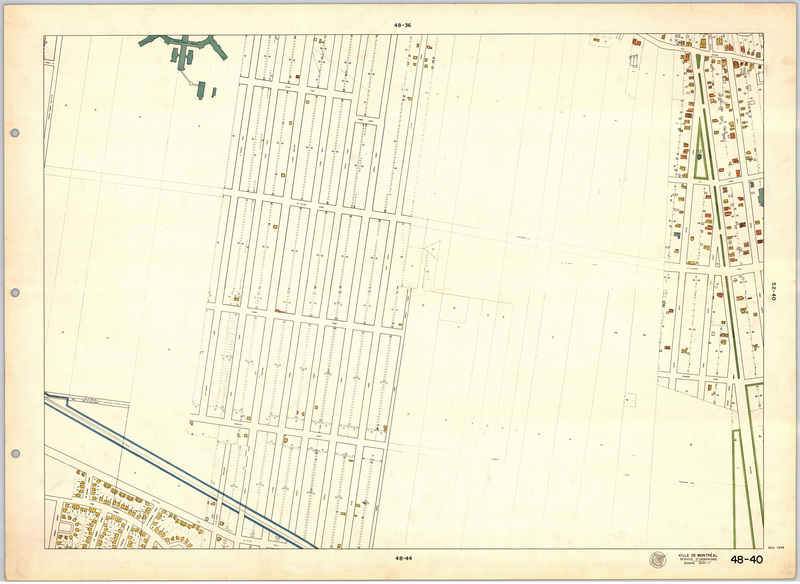 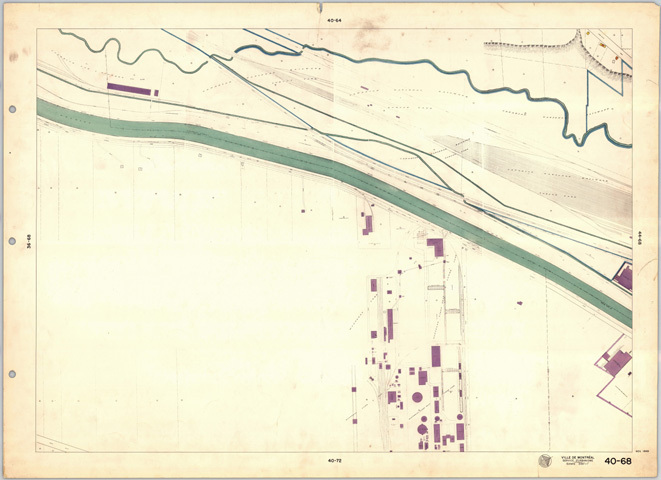 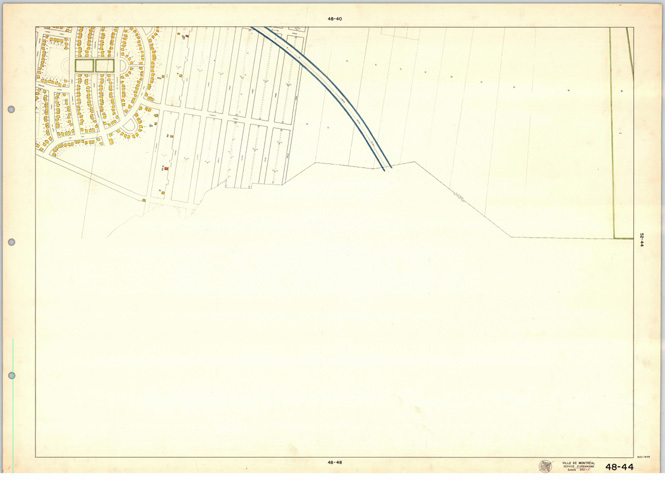 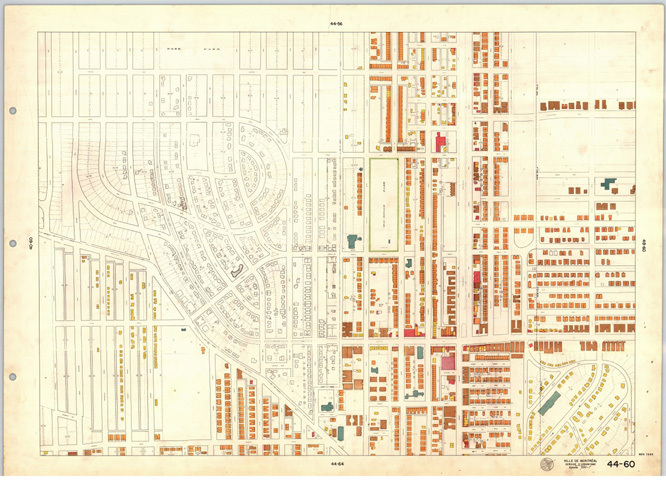 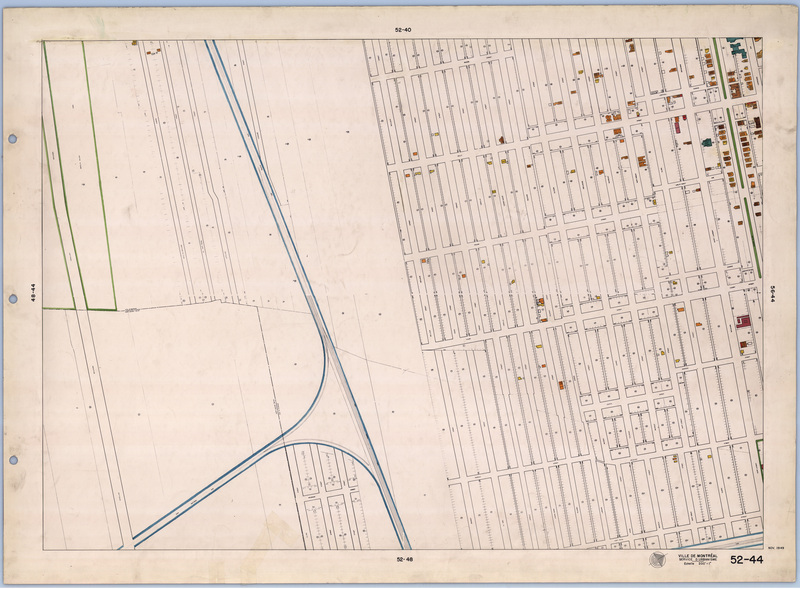 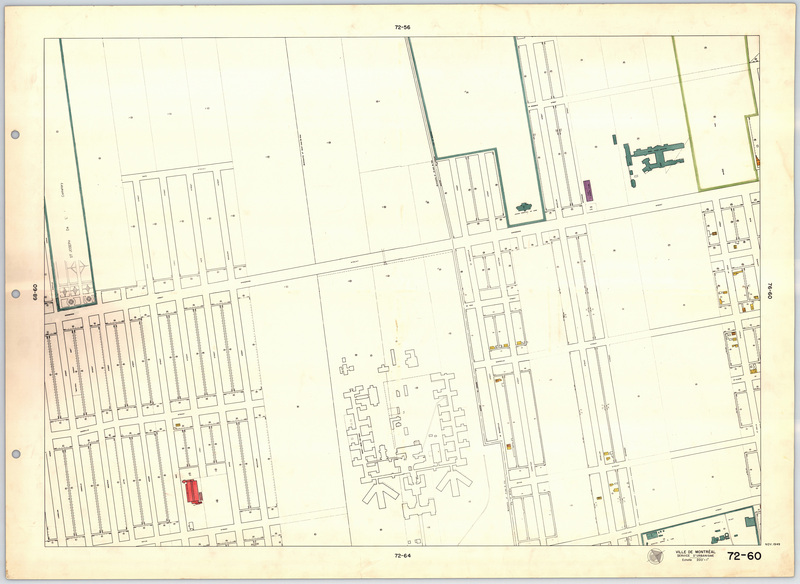 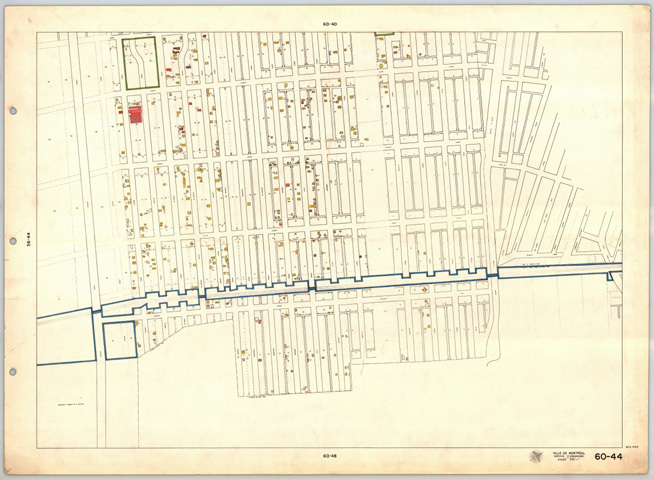 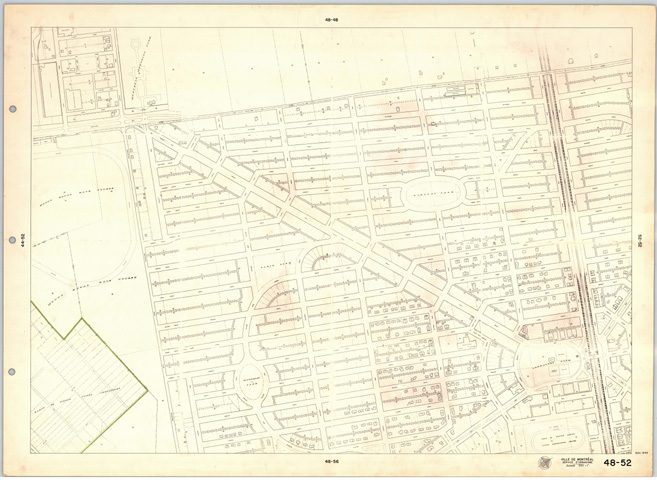 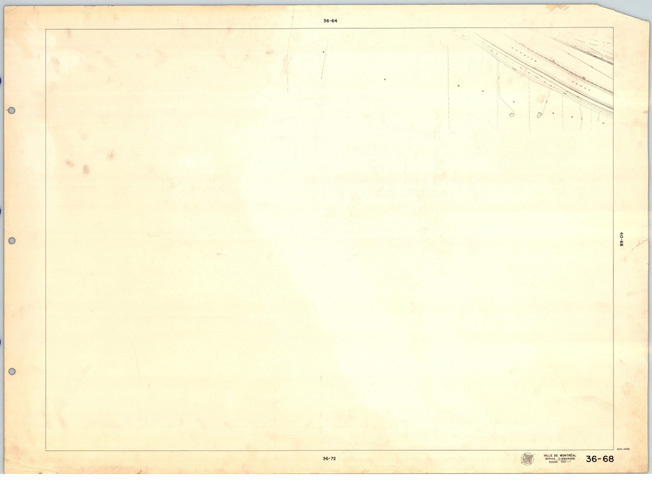 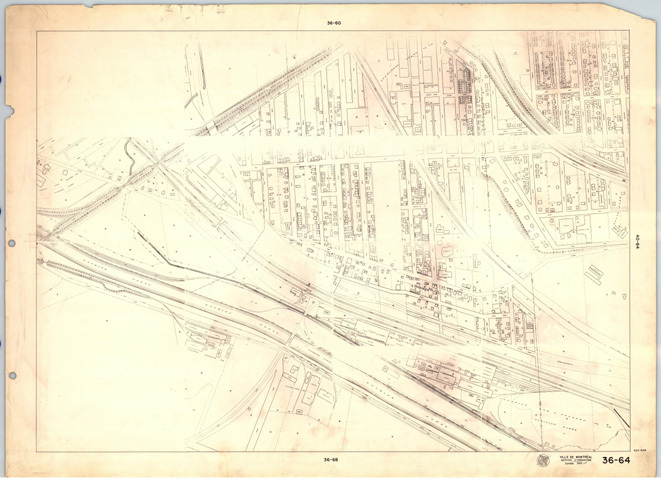 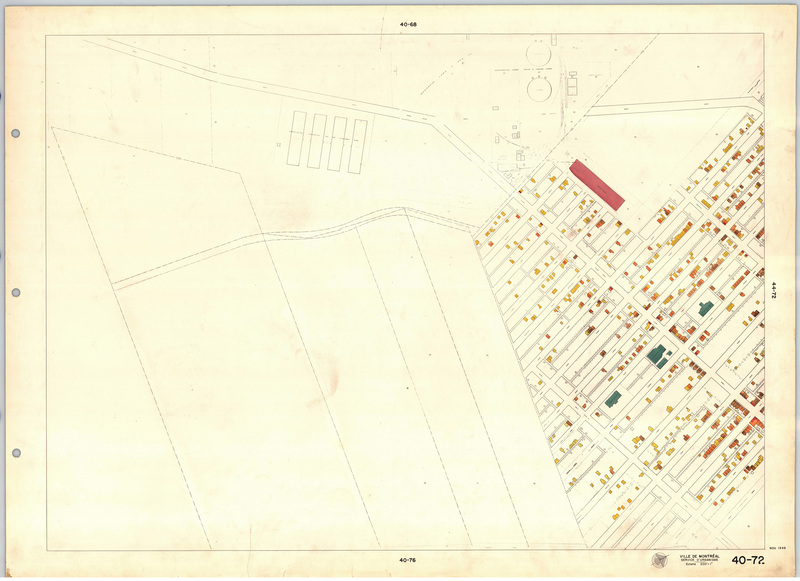 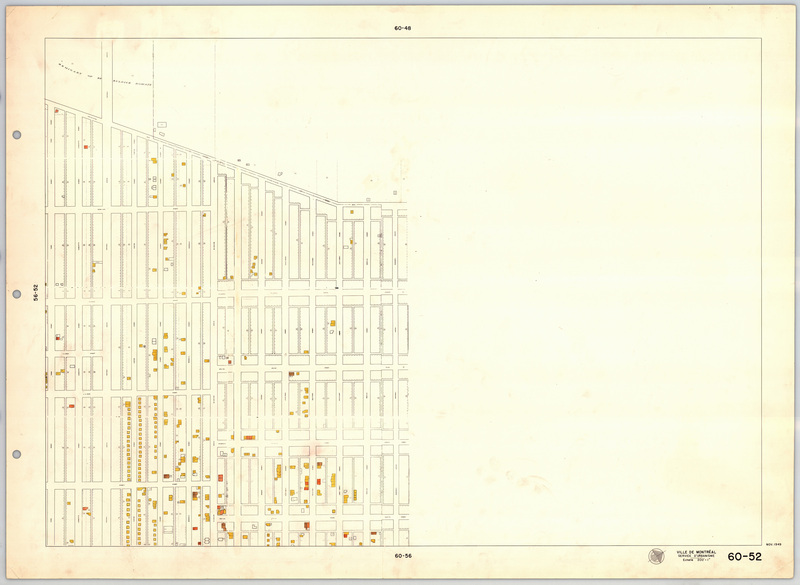 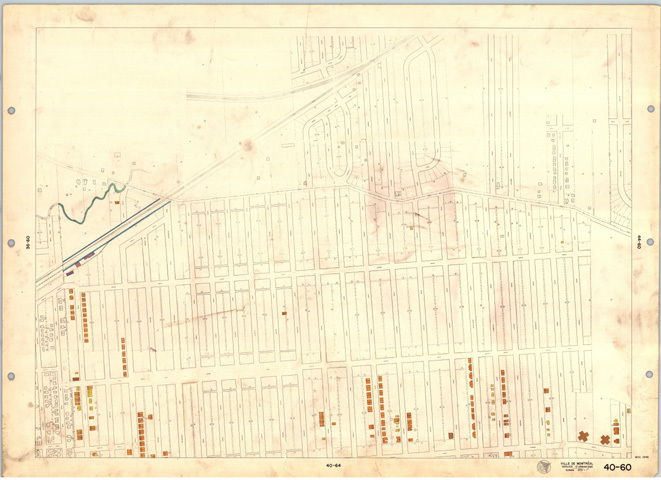 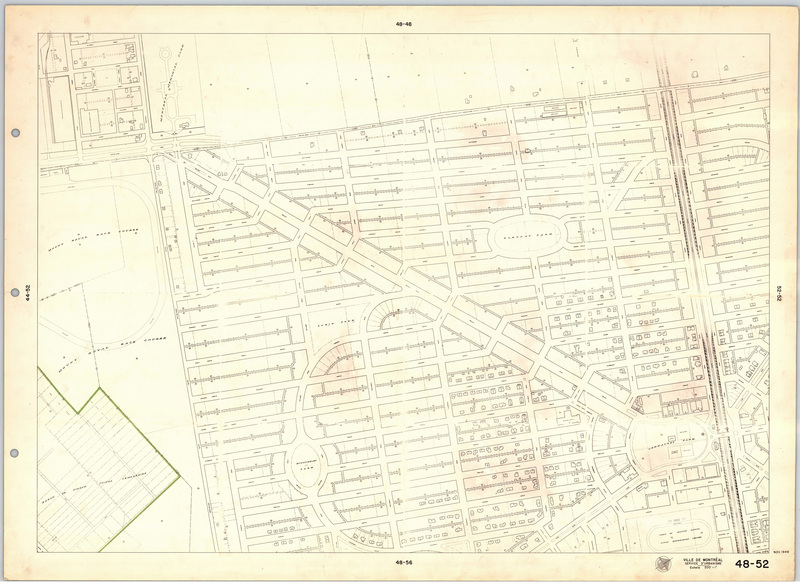 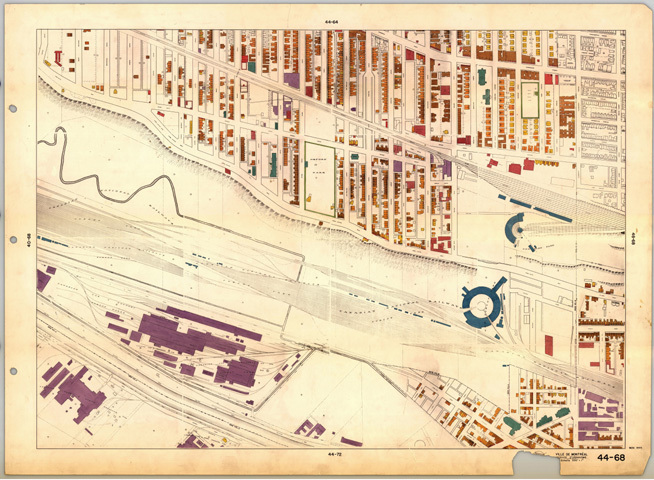 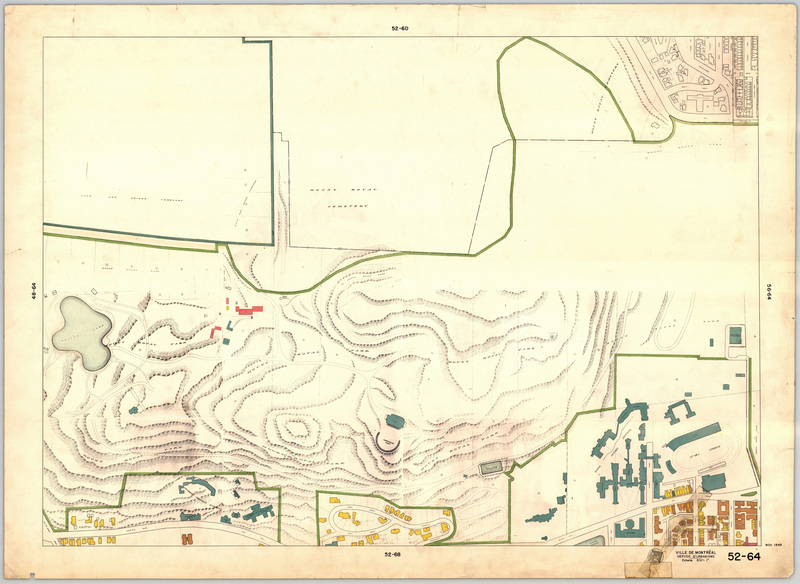 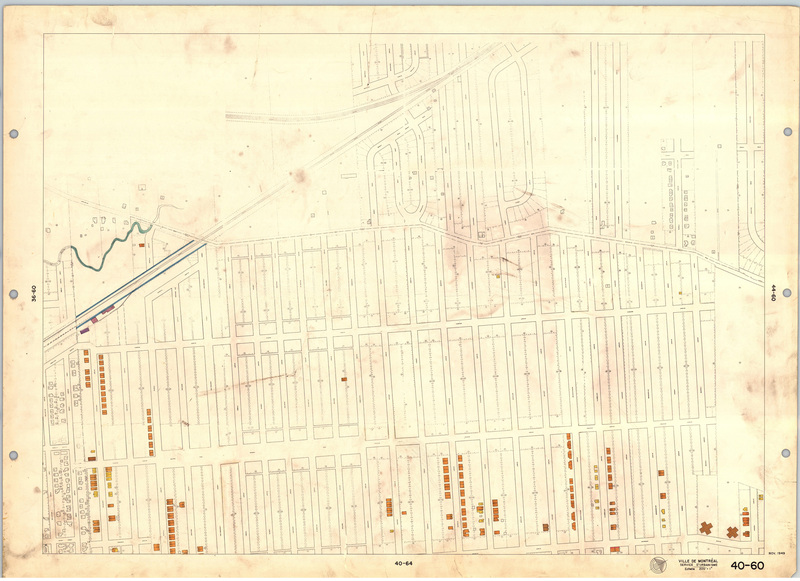 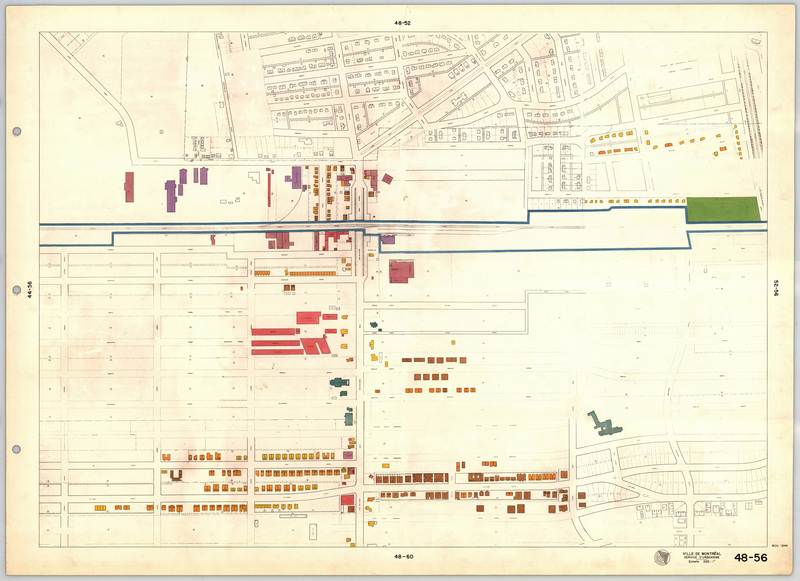 Documentation and Legend Information for consulting the Montreal Land Use Map  : This document contains detailed information about the maps, and the legend for the land use categories. User Agreement Reproduction of any portion of these maps, their public display, or publication of research findings based on their consultation should acknowledge the courtesy of the City of Montreal, in this form: " Ville de Montréal, Gestion de documents et archives". 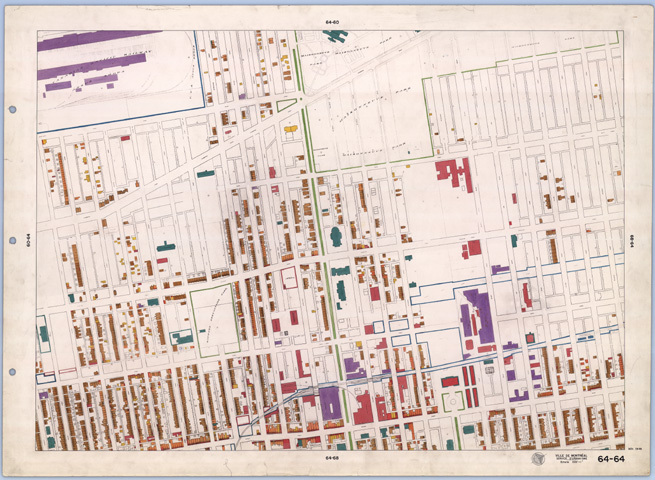 You must be on a campus computer or connect VIA McGill VPN to download these maps. To download click here. 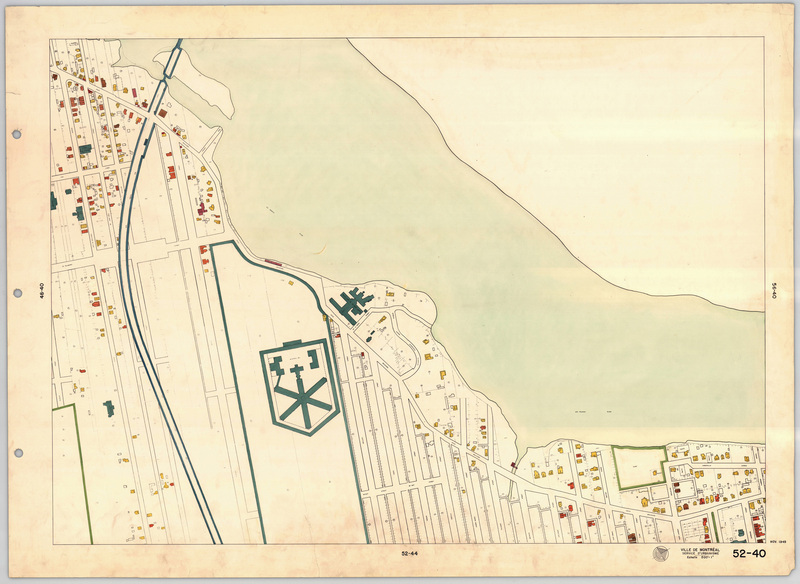 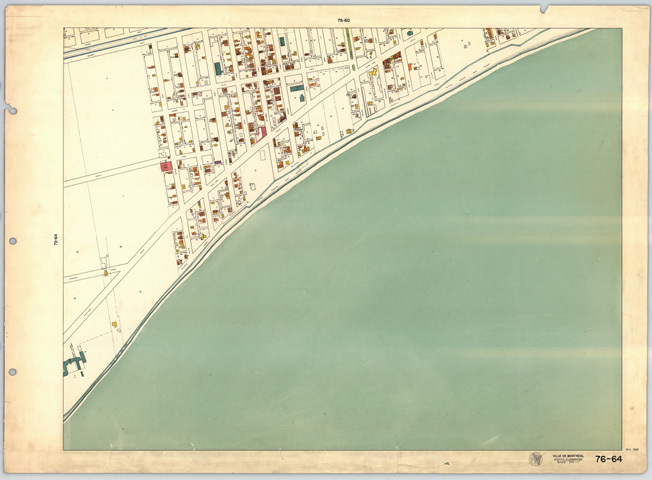 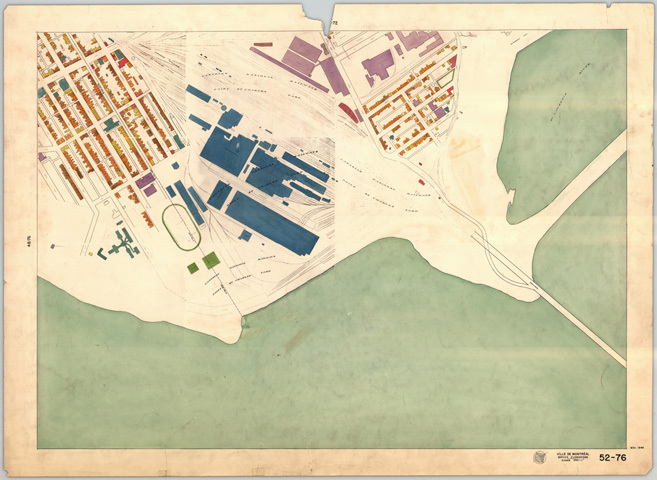 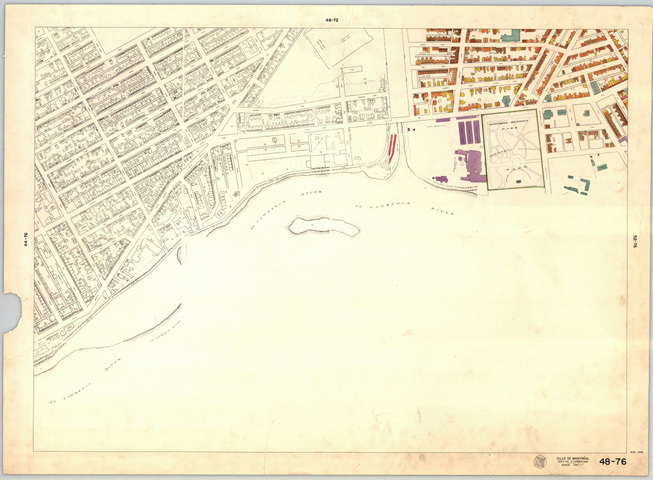 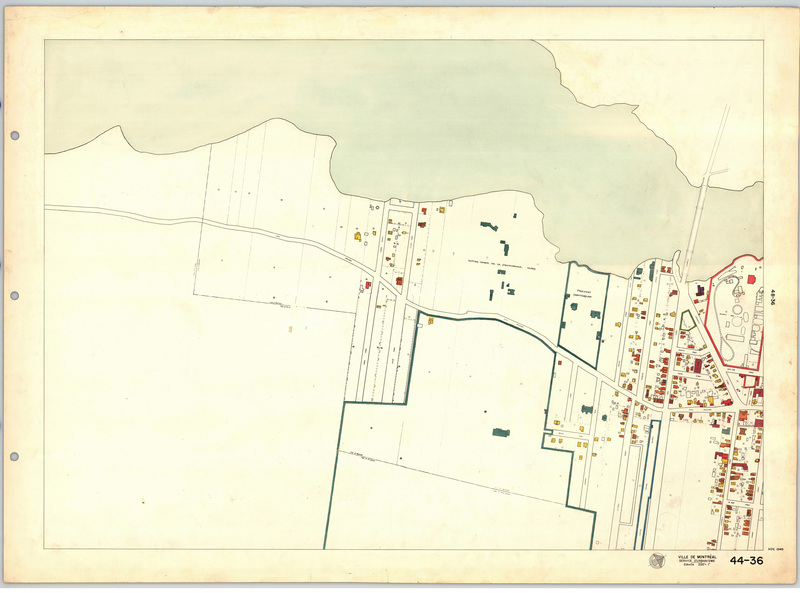 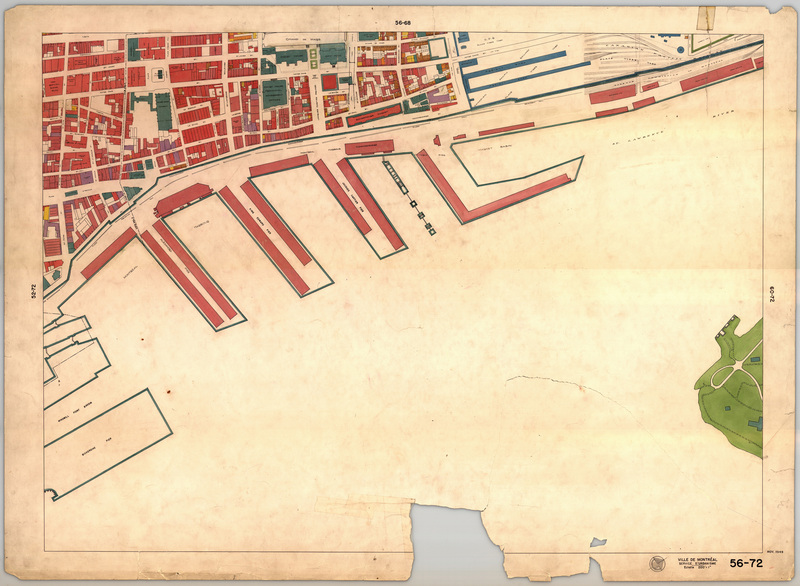 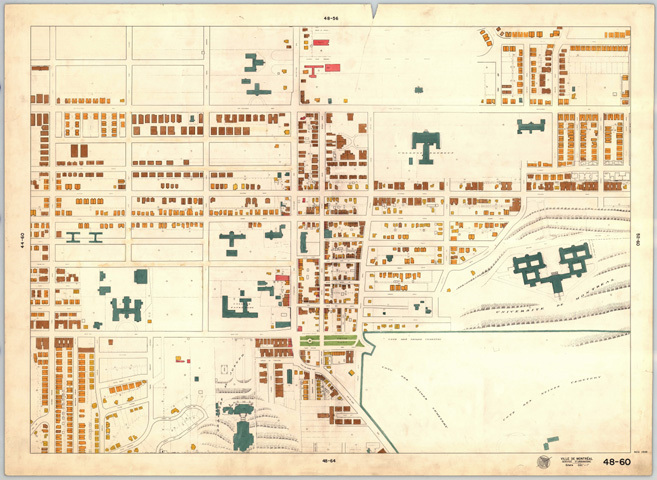 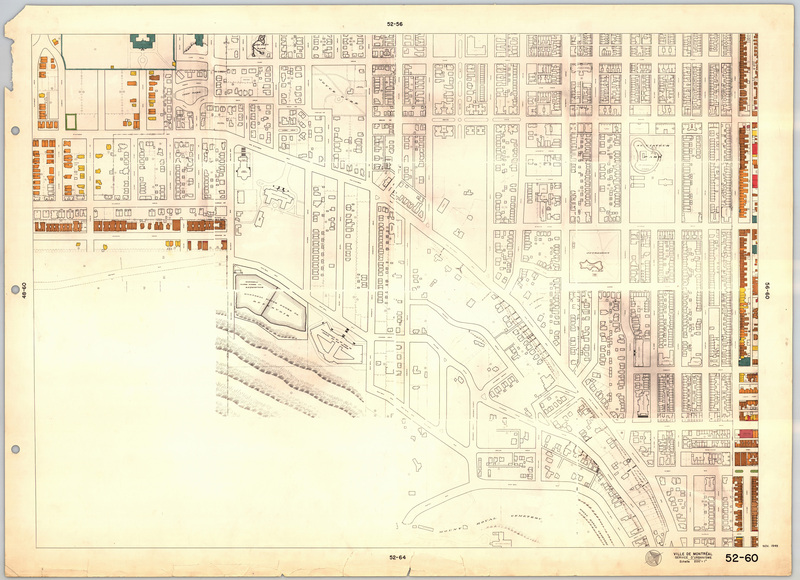 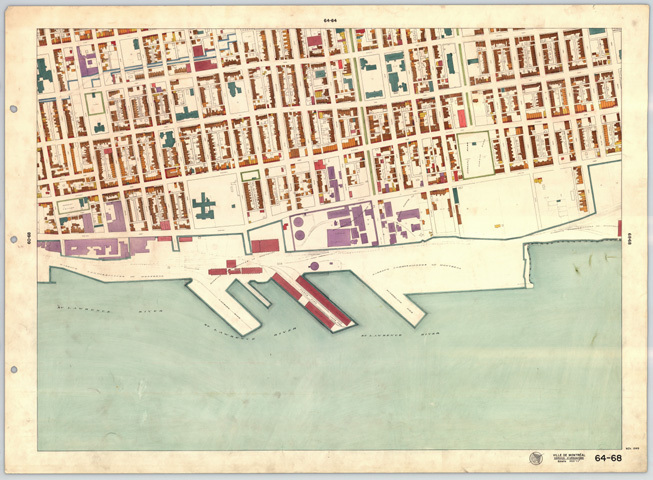 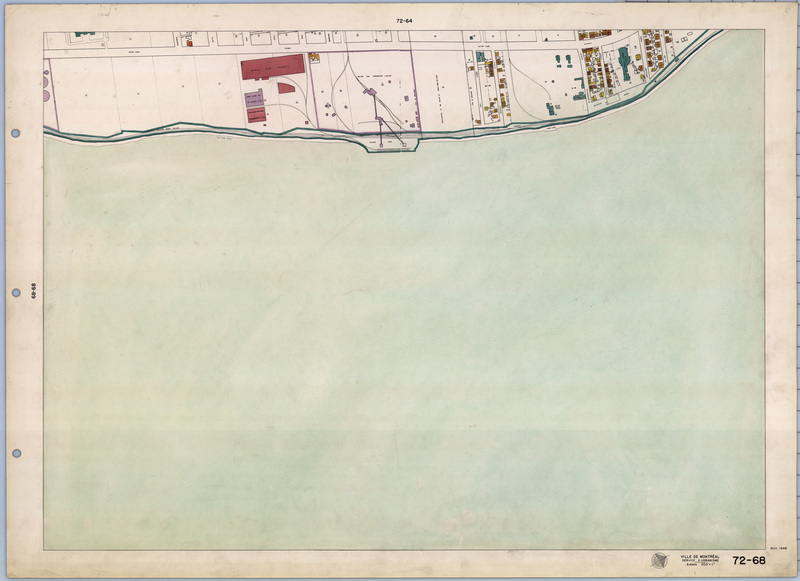 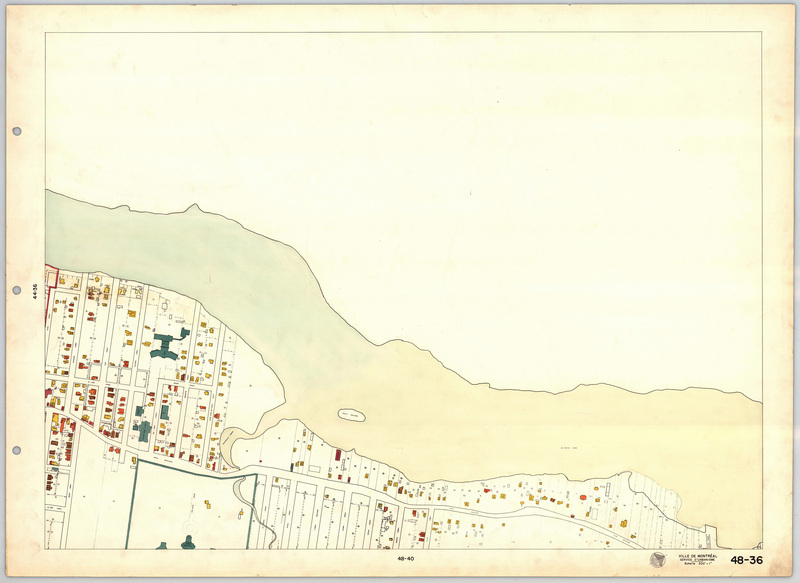 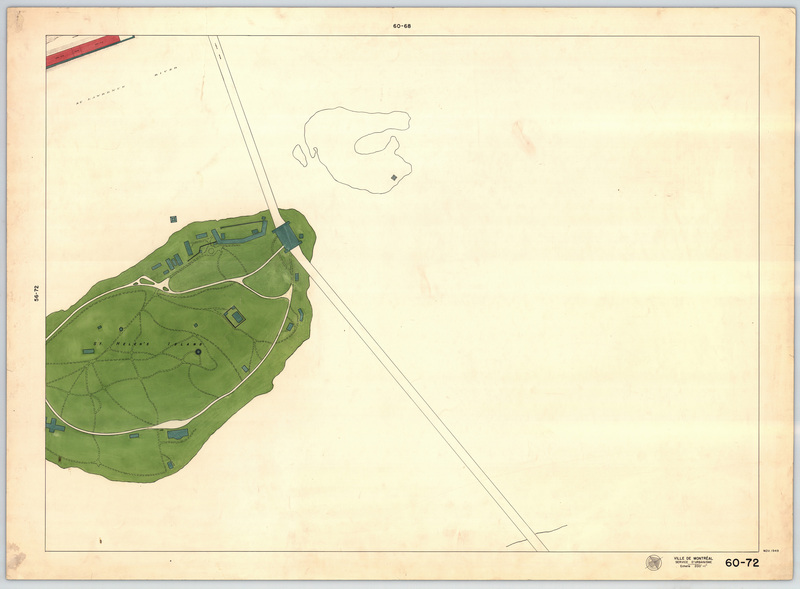 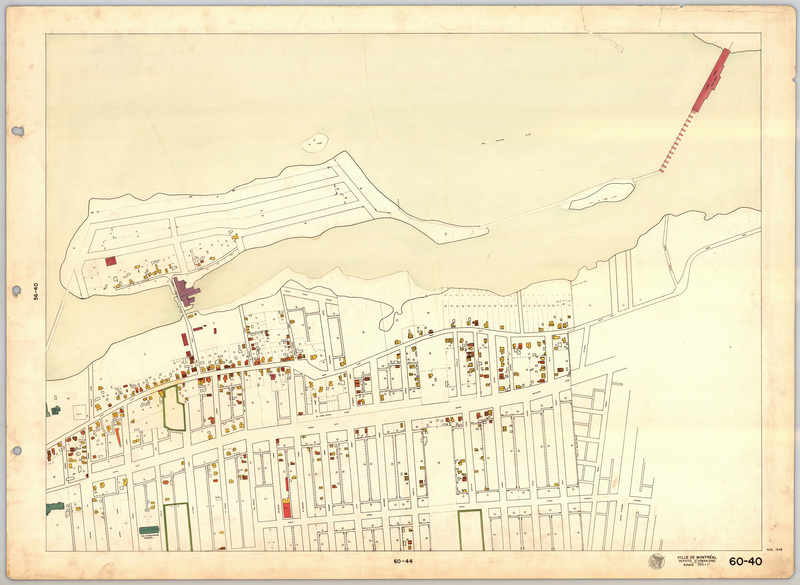 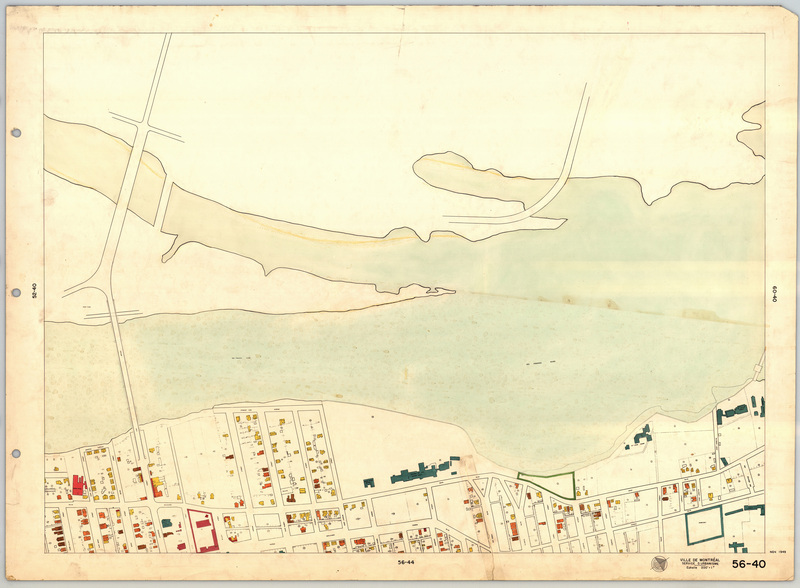 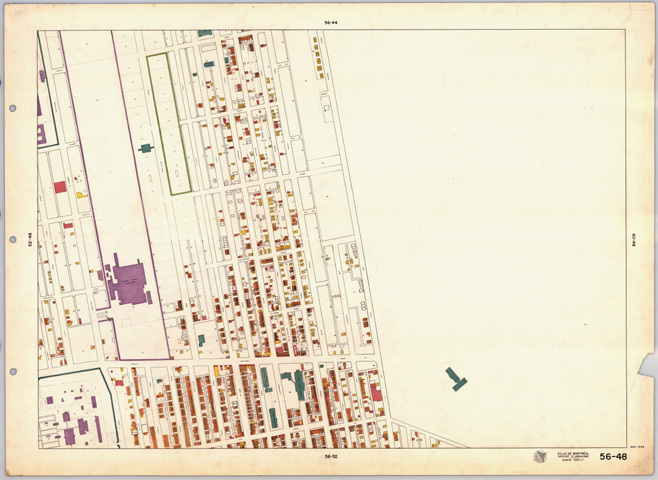 If you unable to download these maps you can view these maps online from the Bibliothèque et Archives nationales du Québec maps website. 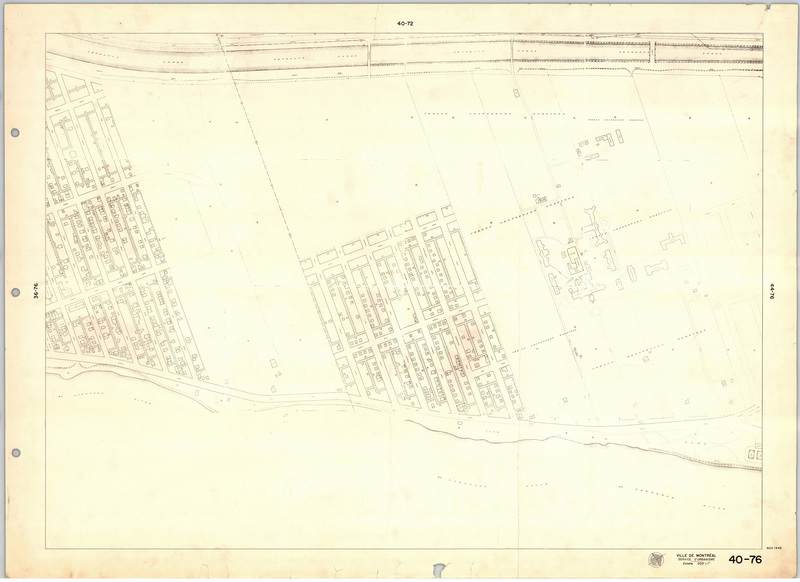 Citation City of Montreal Planning Department. 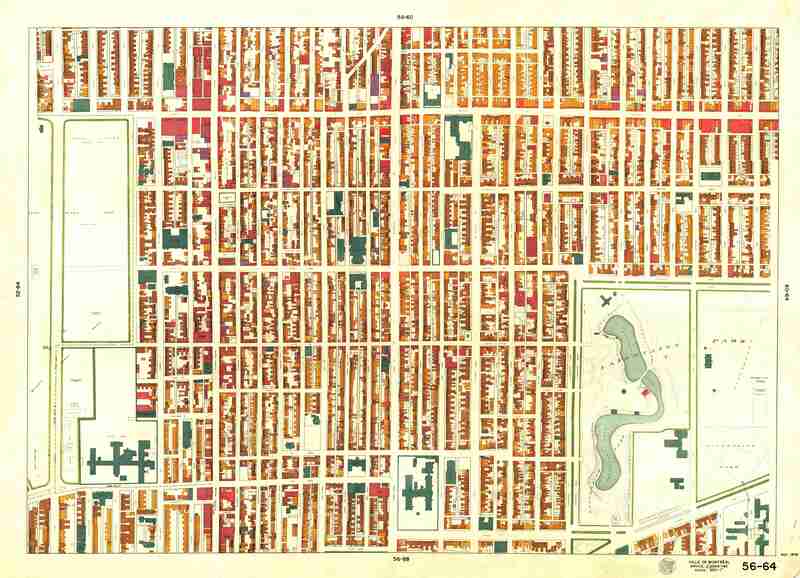 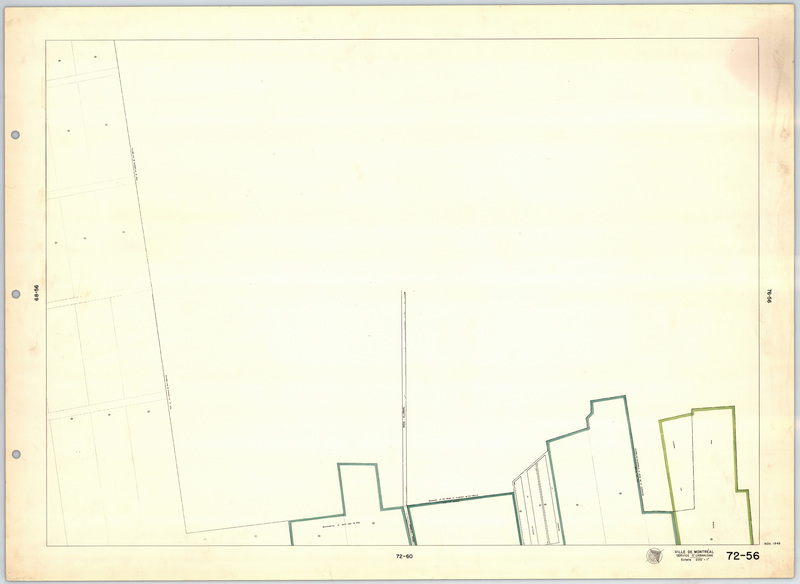 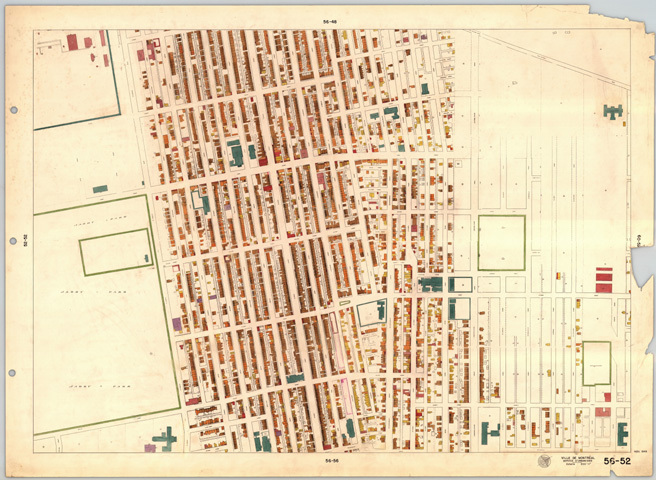 [Montreal Land Use Map. 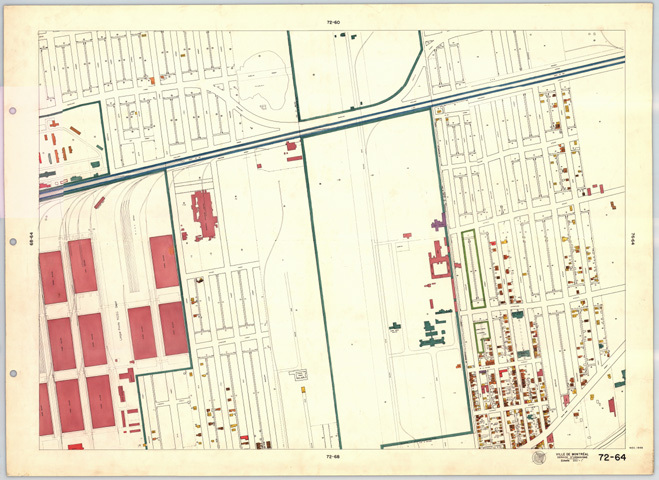 1949]. [Montreal]: City of Montreal, 1949. 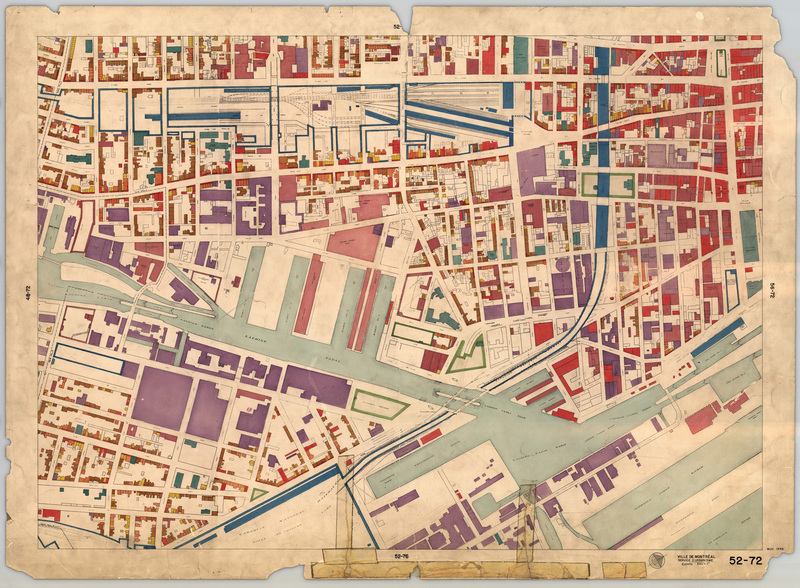 All of the maps are in JPEG format. 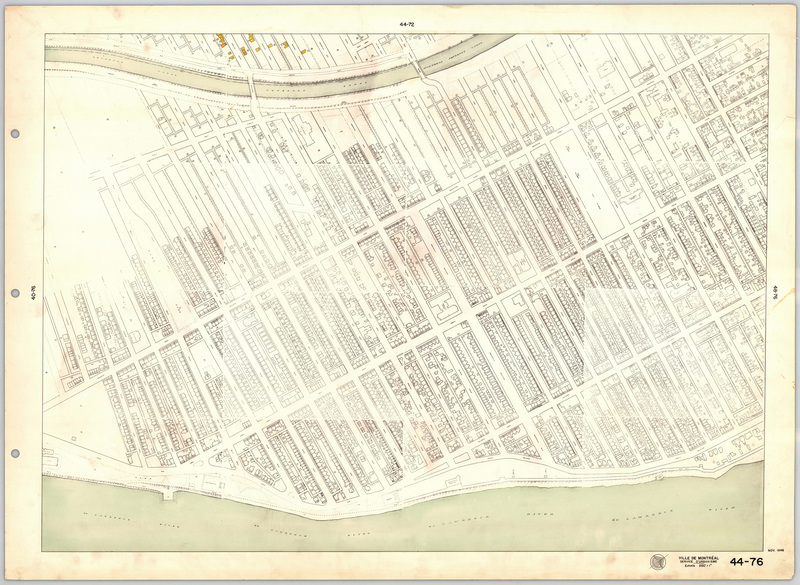 Please note that the maps at 300 dpi resolution are compressed in [.zip] format.